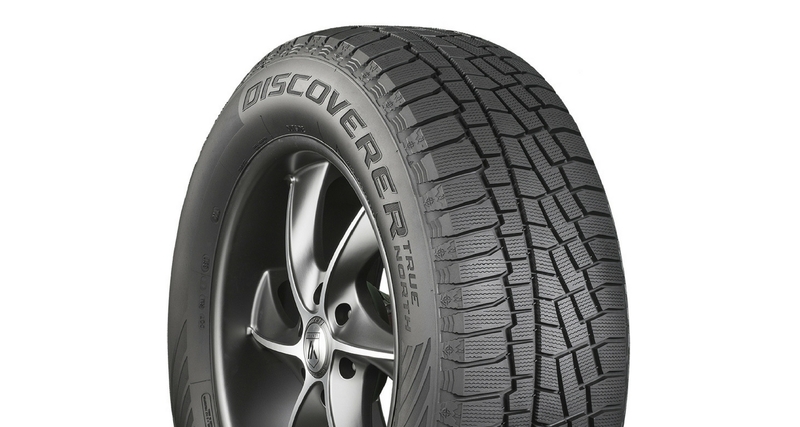 Cooper Tire is preparing drivers for smooth highway commutes through winter weather with the launch of the all new Cooper Discoverer True North. The Discoverer True North tire was on display at Cooper’s booth at the SEMA Show last week. The Discoverer True North offers the outstanding performance, exceptional reliability, leading technology and premium features that can only be found in Cooper’s Discoverer line. Designed to provide the perfect combination of control and handling for confident winter driving, the Discoverer True North maintains a tight grip to the road in cold weather conditions. It features a pliable tread compound that remains flexible when the temperature drops, offering supreme control, while maintaining a smooth, quiet and comfortable ride. “The Discoverer True North wasn’t simply designed with consumers in mind, experienced winter drivers offered input and insights throughout its development process. The result is a tire that’s made to perform, doesn’t give up touring tire responsiveness for great winter grip and ensures drivers’ have confidence on the road through the unpredictable weather conditions that come with winter driving,” said Scott Jamieson, Cooper’s Director of Product Management for North America. The tire has earned Cooper’s Weather-Master certification. “This means the Discoverer True North offers superior performance in winter driving conditions while maintaining a quiet, comfortable ride and maximum control,” Jamieson added. The Discoverer True North will be available to consumers in 17 passenger car sizes in fall 2018. Dealers may place orders this coming spring.